The Thanksgiving Prep is on! How many days did you prepare for your Thanksgiving feast? What is on your menu? Are you making a feast or attending a family get together? We are actually going to be attending a family get together but I still wanted to create my own mini Thanksgiving dinner for Friday and the weekend. Today is pie day! 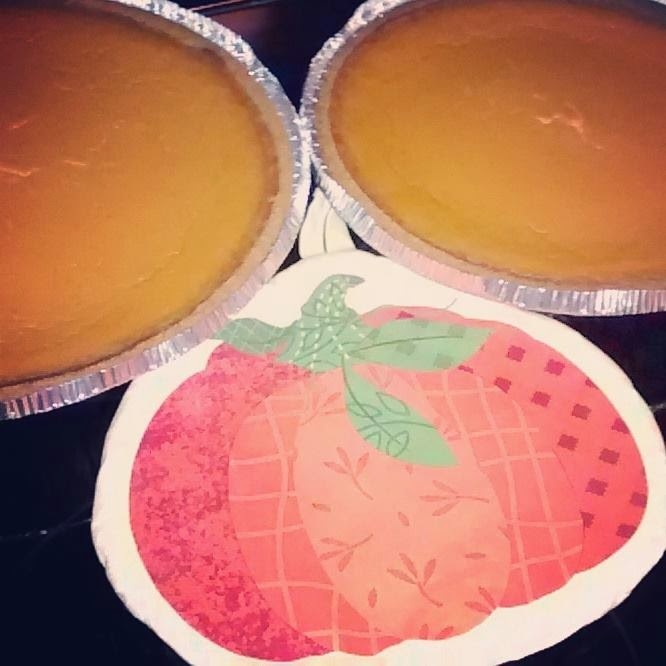 The pumpkin pies are both in the oven as we speak! Mix sugar, salt, cinnamon, ginger, and cloves in a small bowl. Beat eggs in a large bowl. Stir pumpkin and sugar-spice mixture. Gradually stir in your evaporated milk. Pour into your pie shells. for 40-50 more minutes or until knife/toothpick inserted in the center comes out clean. Cool on wire rack for 2 hours. Serve or refrigerate!